Math practice on missing numbers worksheet will help the kids to know the numbers serially. 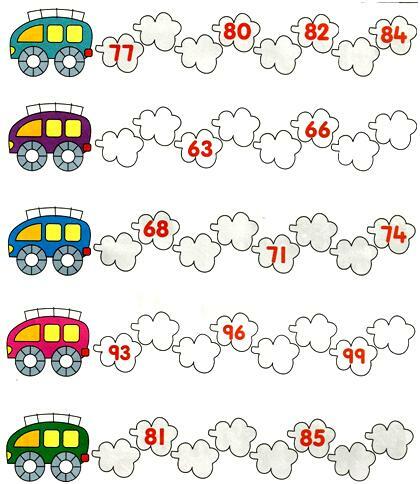 Kids find difficult to memorize the numbers from 1 to 100 in the age of primary, we can understand the mental maturity and the difficulty level of the child at all stages have been kept in mind while introducing the various types of interesting math printable colorful worksheets on missing numbers. Parents and teachers can help the kids by printing the page so that kids can have fun while practicing these worksheets using colorful pencils which will help them to learn numbers. Practice and test your kids knowledge on counting numbers, reading numbers and also finding the missing numbers from the chart. By practicing missing numbers worksheet the skills of kids are increased in ordering, sequencing, concept of numbers and also learn how to write the numbers in the correct order. An adequate number of 1ˢᵗ grade math worksheets are given so that kids can have enough practice. These missing numbers worksheet are followed by questions on numbers which are selected carefully so that the child carries out oral/mental math calculations with ease and speed. 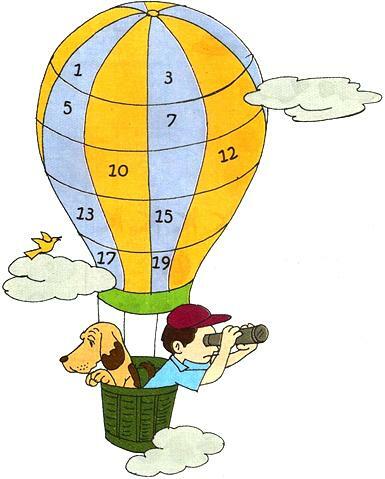 To make the subject more interesting for kids, the questions are given in the form of math colorful missing numbers. In the picture we see a colorful parachute in that a dog named Tommy and a boy named Jack is in the bucket. They both are enjoying flying. Tommy is very hungry and he is trying to find out how soon he will land on the ground while Jack is using the binocular to see how far his school from his home is so that he can share with his friends about his experience in flying and the new things he noticed through his binocular. After flying Tommy imagined the picture in his mind and drew a colorful picture and then in that parachute he practiced missing numbers from 1 to 20. Click Here to get the big picture and take the print-outs to practice missing numbers worksheet. In this missing numbers worksheet kids can find 12 sets of questions where the children need to practice each missing number set serially. 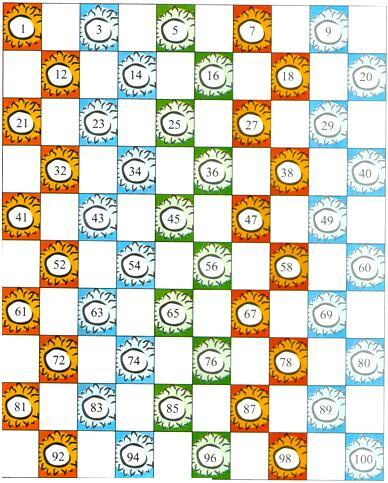 For example, 1ˢᵗ set is solved so that kids can get idea to play with number games while practicing missing numbers. Click Here to get the math sheet and take the print-outs to practice free worksheets on missing numbers for kids. 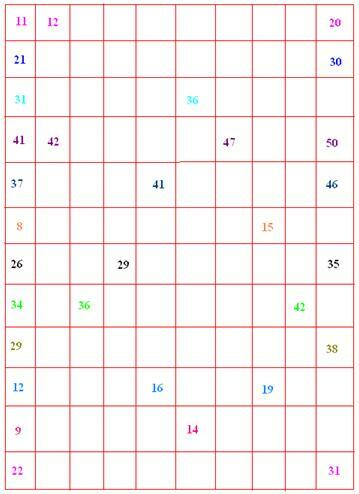 In math worksheets for kids the chart is given below to practice the missing numbers from 1 to 100. Click Here to get the math sheet on missing numerals and take the print-outs to practice the free worksheets for kids. Practice the five sets of questions to understand and write the numbers in correct order sequence of numbers up to 100. Click Here to get the missing numerals worksheet and take the print-outs to practice the free worksheets for kids.